Ronnie Fieg has become known for managing to wrangle some of the world’s biggest brands for collaborative projects. 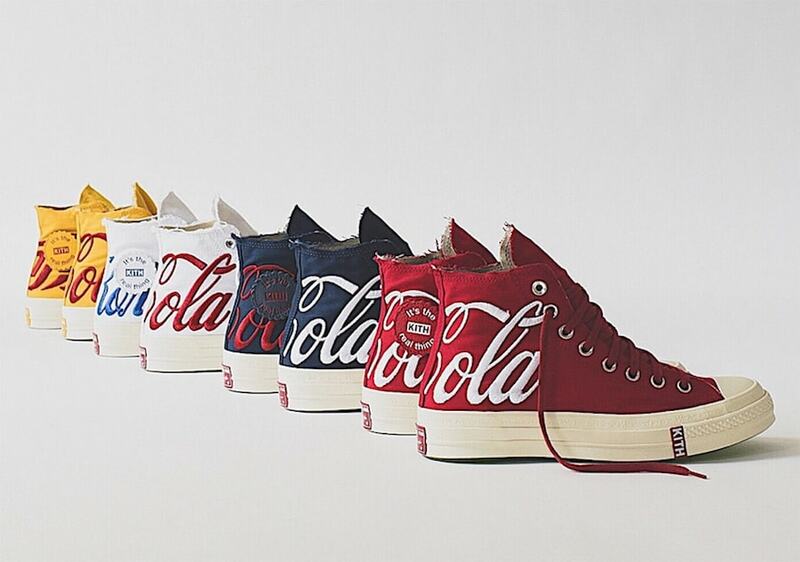 This month, the Kith frontman finally pulled back the curtain on his latest venture with Coca-Cola and Converse, launching soon. Kith has unleashed some of the greatest projects in sneakers since their humble beginning years ago. 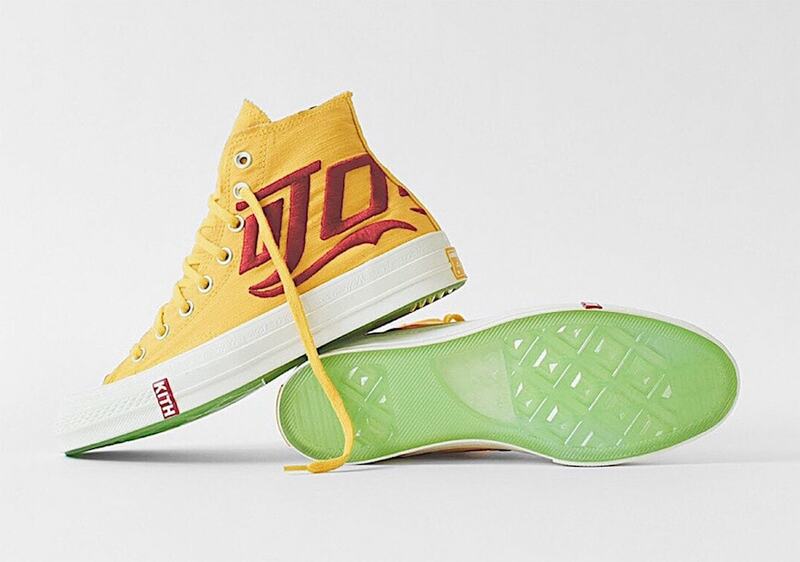 This month is no different, as designer and director Ronnie Fieg has finally unveiled his latest work with Coca-Cola and Converse. This marks the third entry in Kith’s project with Coca-Cola, makers of some of the most popular beverages in the world. 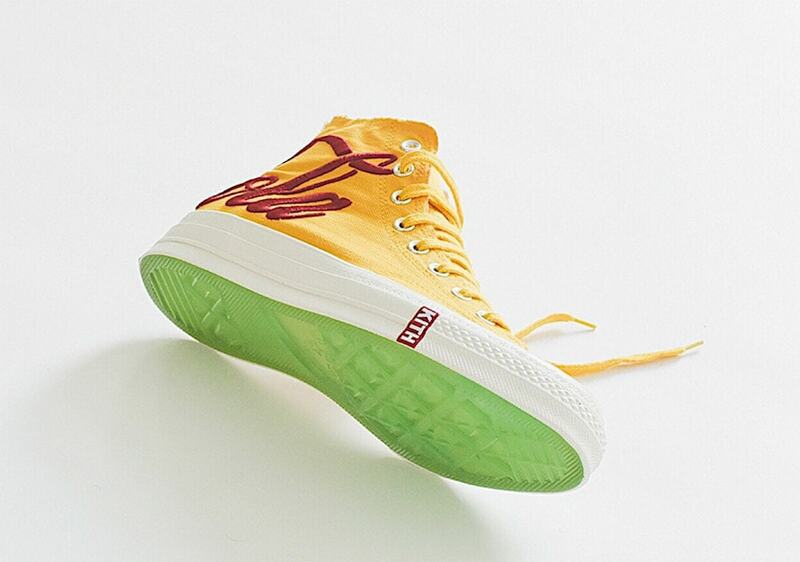 Sold in nearly every country around the globe, the Coke name is what Fieg has hoped to evoke in each new drop. While the brand recognition from Coca-Cola is a great tool to make use of, the other driving force behind collaborating with them is the American themes and ideas associated with Coke. 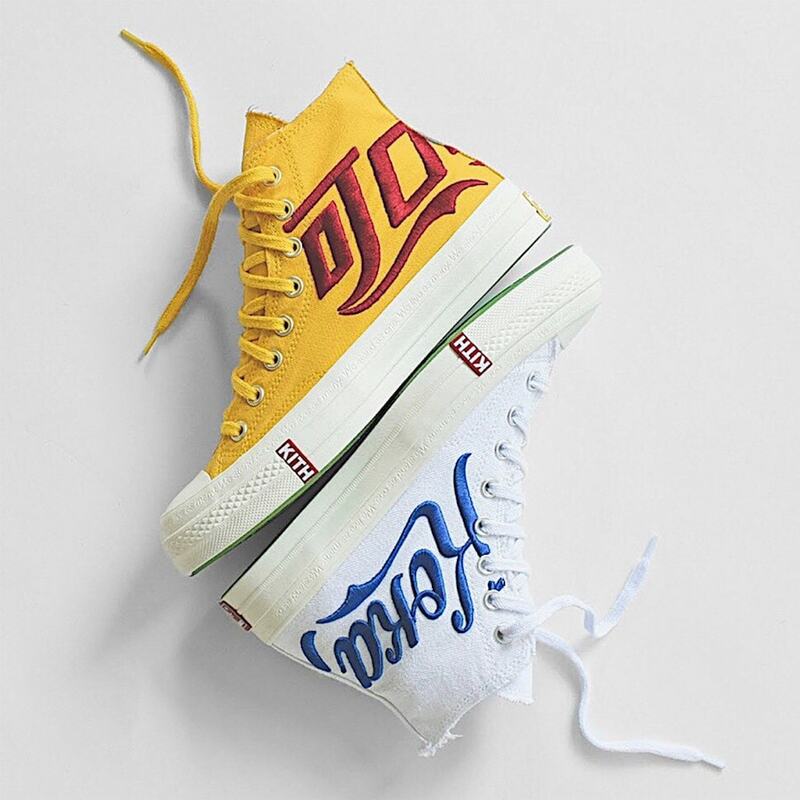 While the Coca-Cola name brings plenty of attention to this new Kith project, it is the Converse sneakers also attached that drive it home. 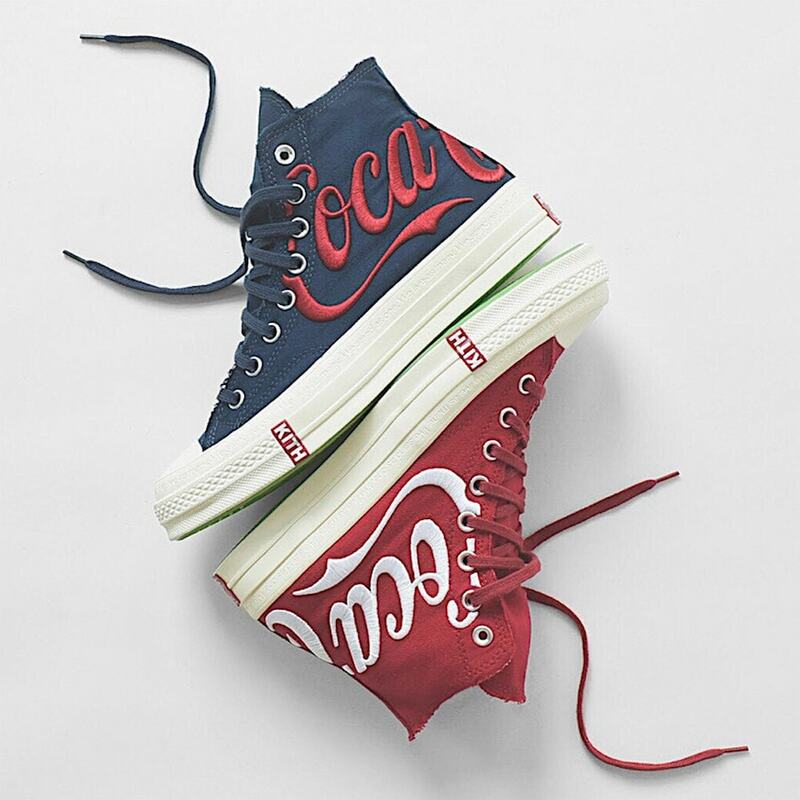 Originally, the Coca-Cola x Converse sneakers were released in just one colorway, a simple red and white. 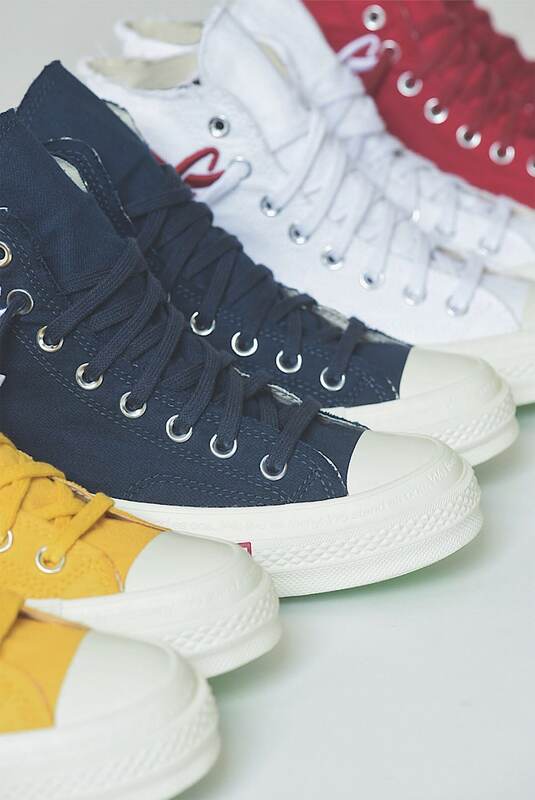 Now, over-branded Chuck Taylors will come in a total of four new looks this time around. 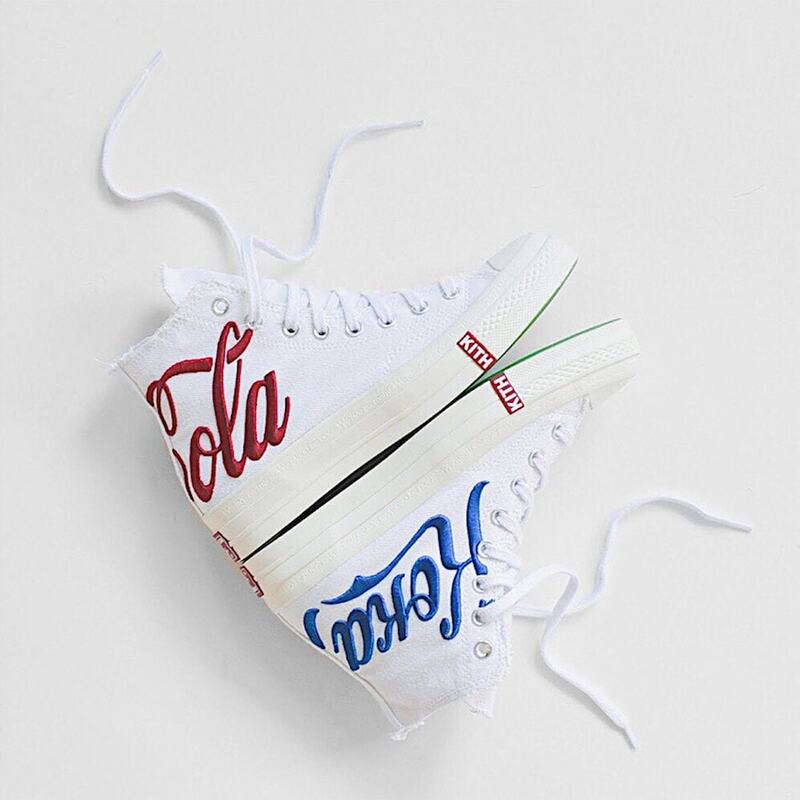 First, the white canvas pair returns this time with mismatching blue and red Coke logos. 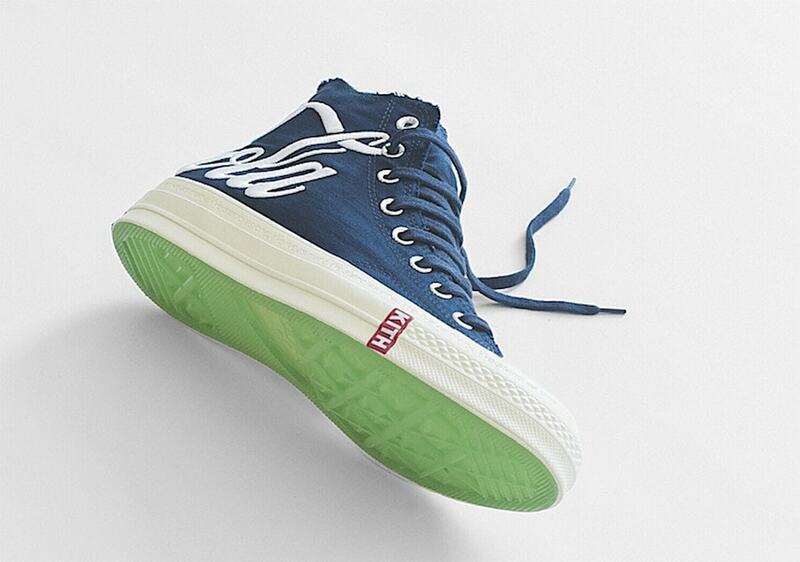 Next, a dark navy blue pair will also feature red and white mismatched lettering, while two more pairs in golden yellow and red round out the collection. 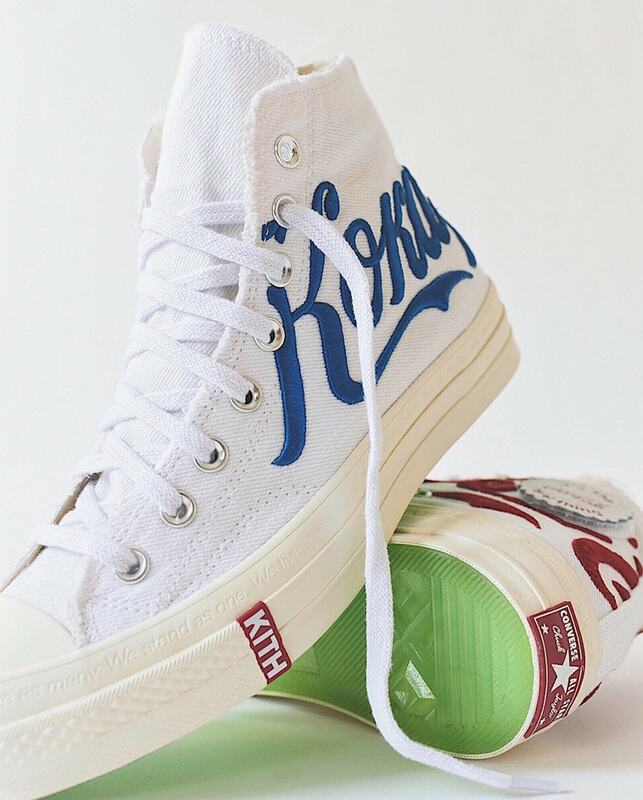 Ronnie Fieg’s latest collaboration between Kith, Coca-Cola, and Converse is ready to drop on Saturday, August 18th. The handful of new colorways will be available via Kith the morning of, likely for the same $150 retail price as the original. 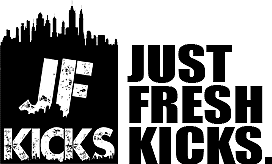 Check out the early product shots below for a better look at each pair, and stay tuned to JustFreshKicks for more Converse release information.